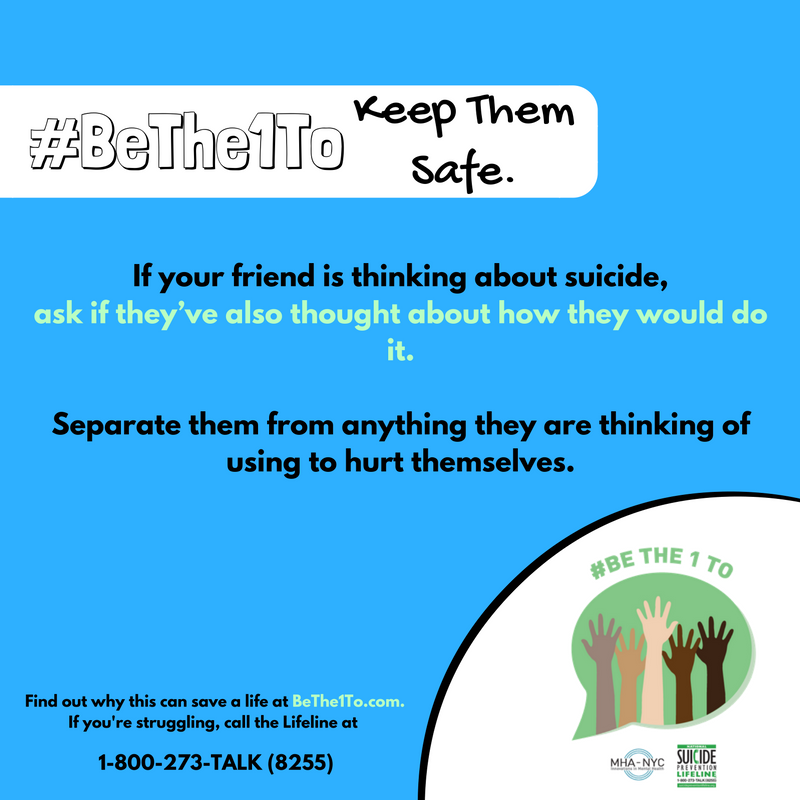 National Suicide Prevention Week is the Monday through Sunday surrounding World Suicide Prevention Day. 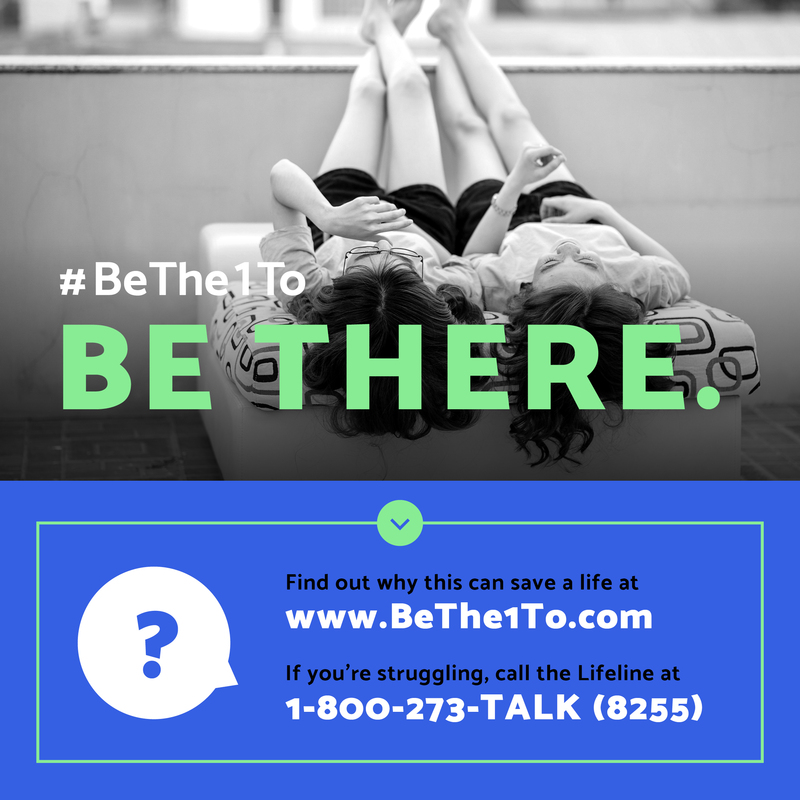 It’s a time to share resources and stories, as well as promote suicide prevention awareness. World Suicide Prevention Day is September 10. 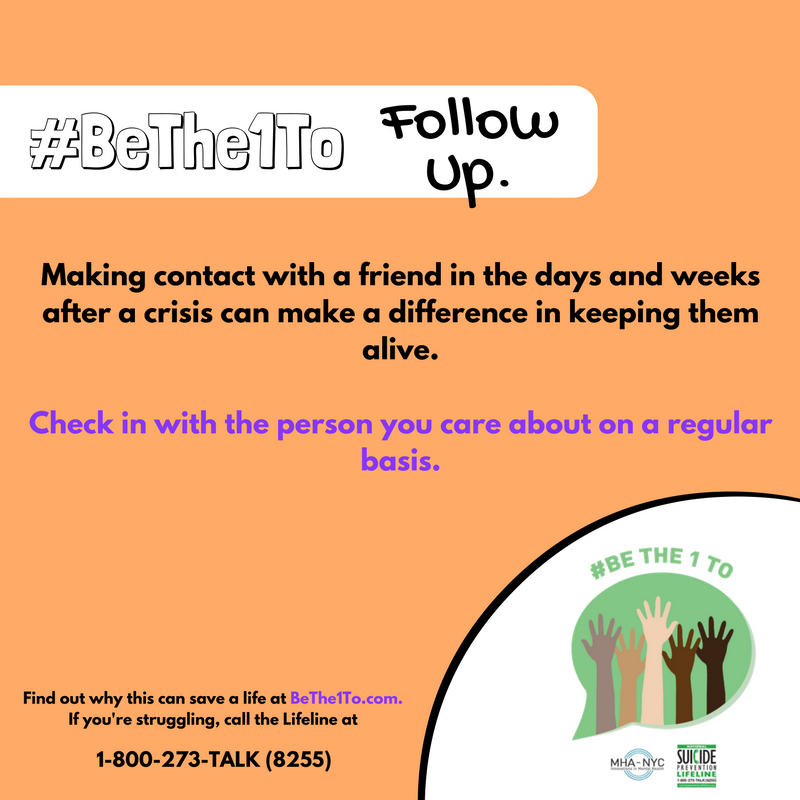 It’s a time to remember those affected by suicide, to raise awareness, and to focus efforts on directing treatment to those who need it most. 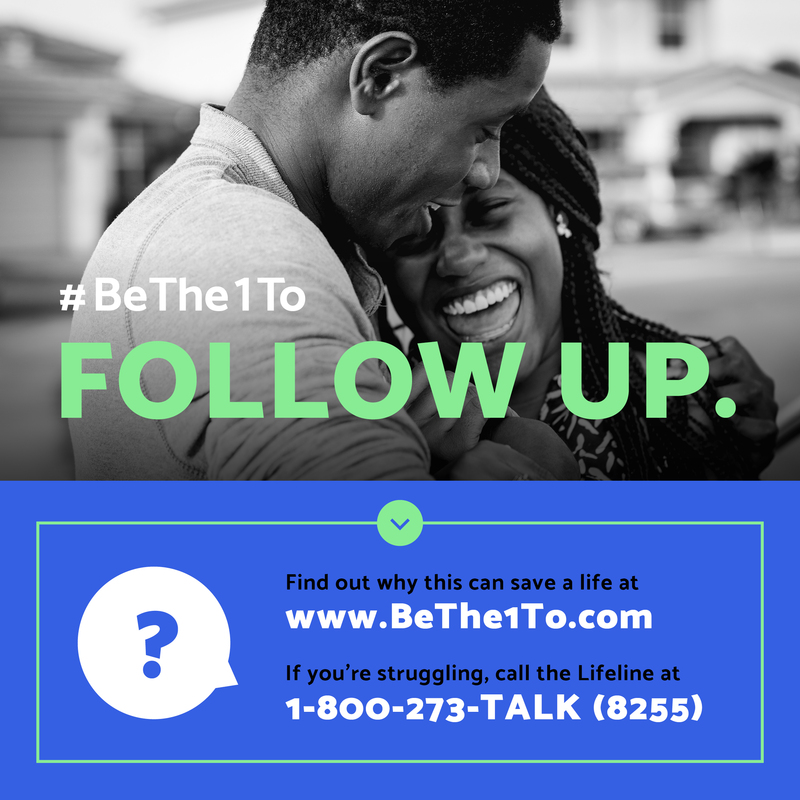 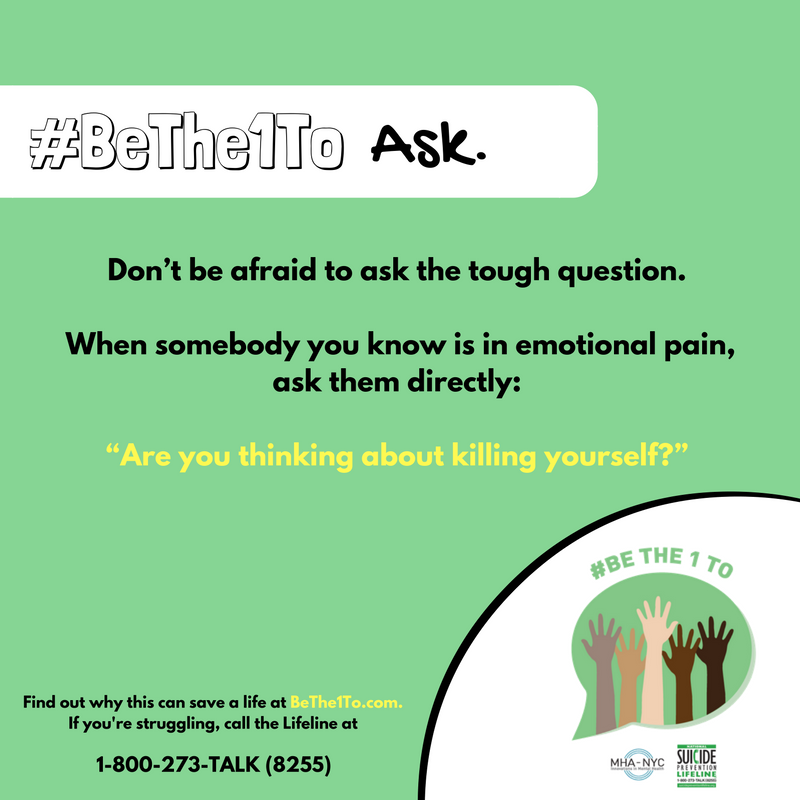 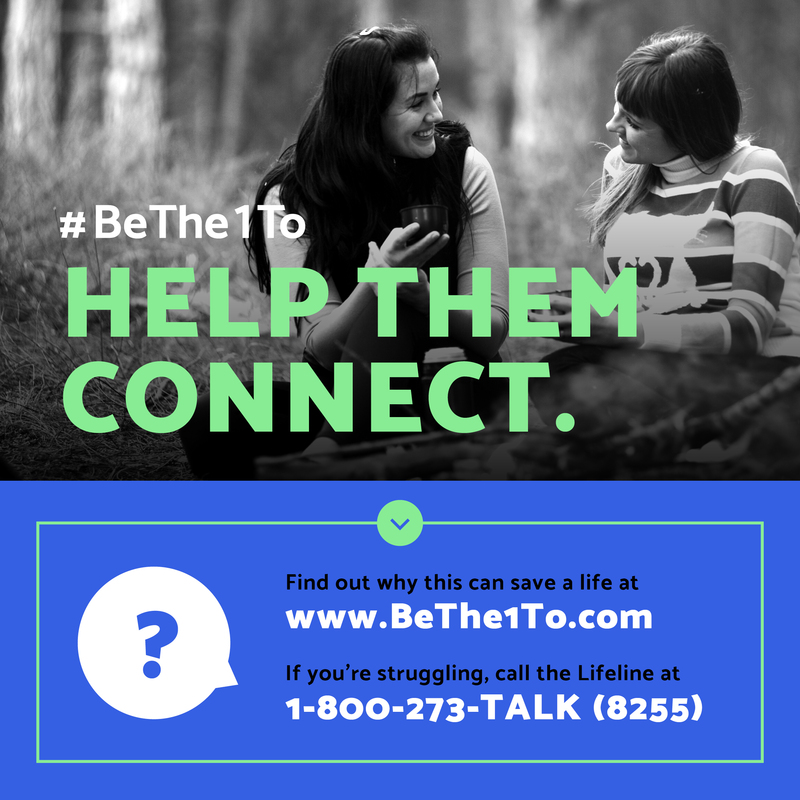 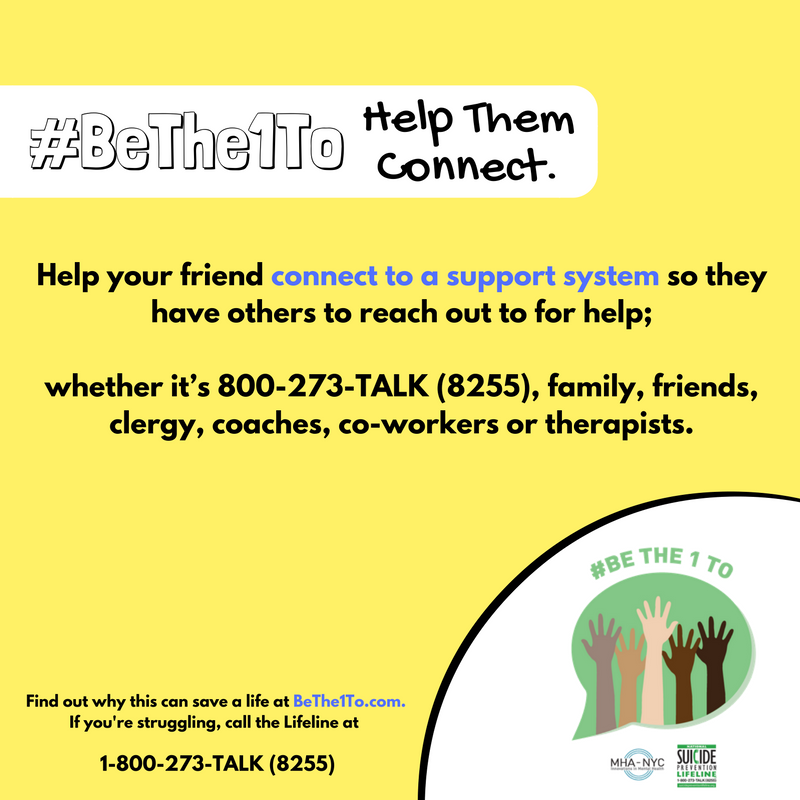 #BeThe1To is the National Suicide Prevention Lifeline’s message for National Suicide Prevention Month and beyond, which helps spread the word about actions we can all take to prevent suicide. 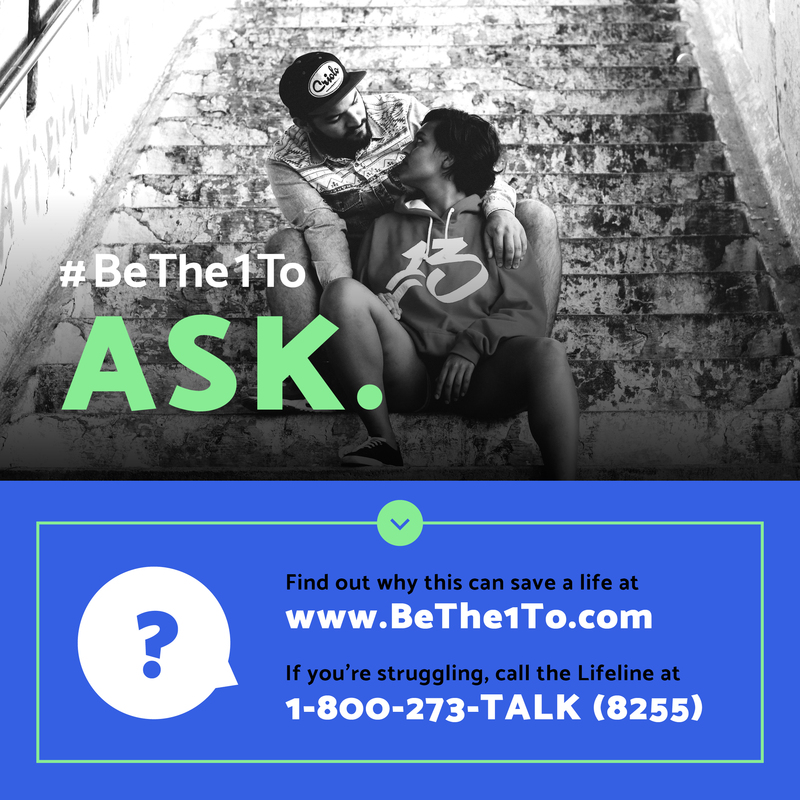 The Lifeline network and its partners are working to change the conversation from suicide to suicide prevention, to actions that can promote healing, help and give hope. 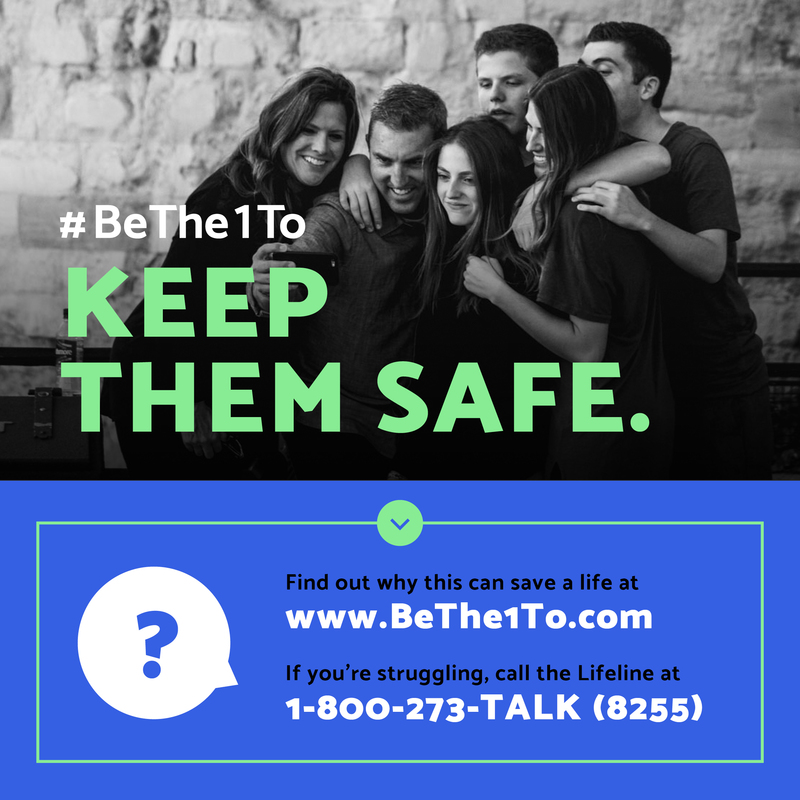 Get message kits, resources, events and more at the official website.